Turn the Entertainment Only TV into an advertisable Medium. 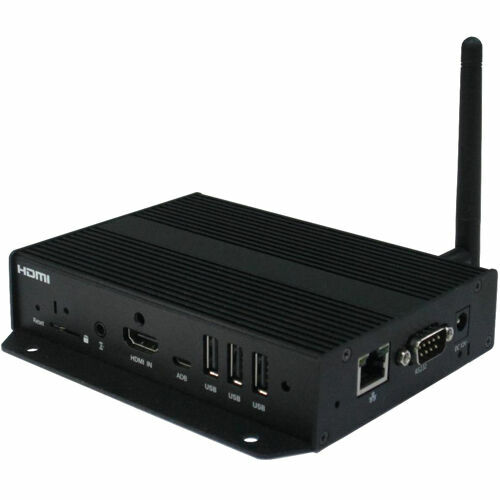 XMP-6400 is the world's first open standard HDMI-in media player . It easily converts the already installed sports TV into a multi-purpose digital signage screen. Mix the in store promotion and event message along with sport's channel, customers will experience non-stop sports game just like before and the store owner can freely switch the screen back and forth from full screen to multiple zone to add a store promotion or ticker message.